while goblins carry off the little girl. “It is time to wake up,” the nurse says. you struggle toward the surface. 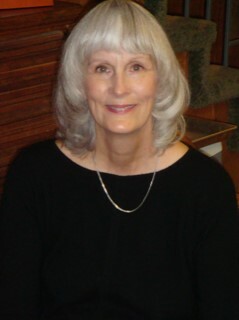 Joan Wiese Johannes has been widely published in journals and anthologies, and has four chapbooks, including He Thought the Periodic Table Was a Portrait of God from Finishing Line Press. Her most recent publication is a crown of sonnets, Happily Ever After, whimsically illustrated by her poet/artist husband Jeffrey.